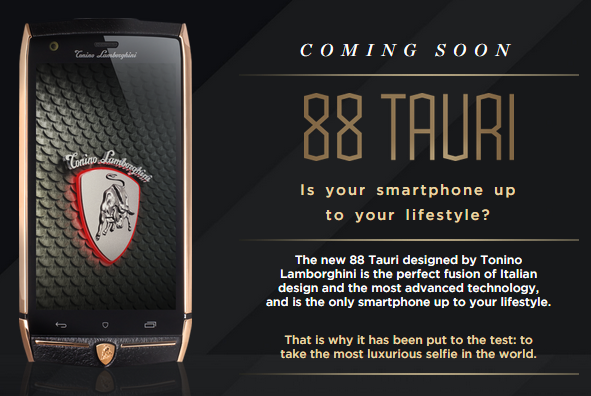 Luxury products manufacturer company Tonino Lamborghini has launched it’s new smartphone model 88 Tauri with an extravagant price tag of $6000 ( INR 360000) , according to Russian Tech website hi-tech.mail.ru.The company is named after it’s owner Tonino Lamborghini. He’s the son of Ferruccio Lamborghini, founder of famous car company Lamborghini. Tonino Lamborghini company manufacturers luxury products like watches and accessories. Company will manufacture only 1,947 88 Tauri devices which is based on the birth year of the founder. The phone doesn’t have any advanced functionality. It’s only a way to show off wealth with this luxury products. The phone is available in real leather and steel. In steel available colors are black, gold and silver. In leather available colors are black, blue, orange, red and brown. The phone have a 5-inch HD display, 64 GB of storage, 3 GB of RAM, 2.3 GHz quad-core processor , 20 megapixel camera and a 8-megapixel front camera.